Imagine having freshly baked bread, it would be refreshing right? Yes, to my personal option, nothing would be as refreshing as that. I prefer having freshly baked bread and this is why bought my first bread maker machine. It was just a few years back I bought a bread-making machine, I still have the same device, and it has been more than 3-years since I bought the product. However, the number of models of the bread-making machine on the market today is comparatively very higher than what it used to be 3-years before. To be frank, even 3-years before it was not that easy to select the best product from the wide range of list and trust me it would be comparatively difficult today. Today, bread-making machines comes with wide range of features and is not just limited to baking bread, it could be used to bake cookies, pizzas etc. bread makers are more advanced than ever before and come with features that make using them easier. Here is a list of 10 best bread-making machines on the market today. 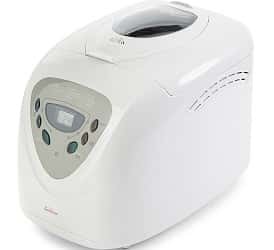 This bread maker comes with a capacity to make 2-Pounds of bread and is suitable for large families. 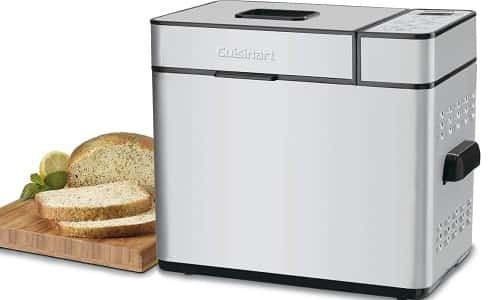 Cuisinart as you know is one of the best brands that deals with kitchen appliances, cookwares and bakewares and this bread maker is no different. 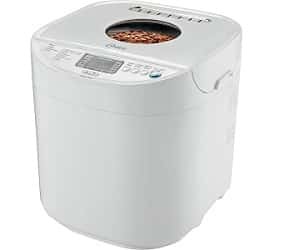 The bread maker of mode 005891-000-000 from the brand Sunbeam comes with several attractive features that stand second to no other brands. This product consumes only 600-watts power. 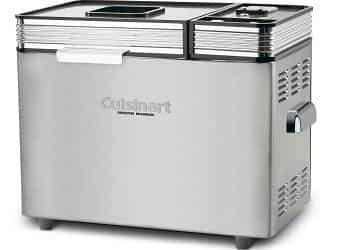 The interior of this bread making machine has non-stick coating, therefore, making the cleaning easy. The Zojirushi BB-PAC20BA BB-PAC20 comes from the international brand Zojirushi and is best recommended for organic break baking. The manufacturer offers add ons like measuring cup and measuring spoons with this product that could help you prepare bread dough with ease. 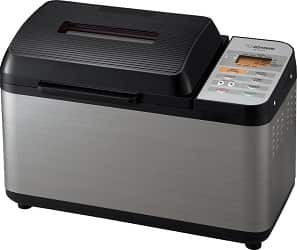 One of the notable things about this products is that product is that unlike other bread makers, this product has an additional heater incorporated on its lid to ensure even baking. 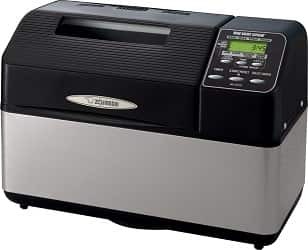 This bread maker from Zojirushi comes with a capacity of 2 pounds and unlike any other bread makers comes with a dual blade to prepare the appropriate dough. 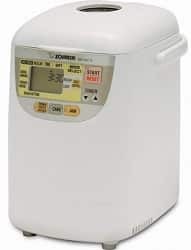 Like the above listed bread maker from Zojirushi, this product also comes with LCD display, 13-hour delay start timer, 3 crust shades, and 10 preset settings. This product could bake a maximum of 2-pounds bread at a time. 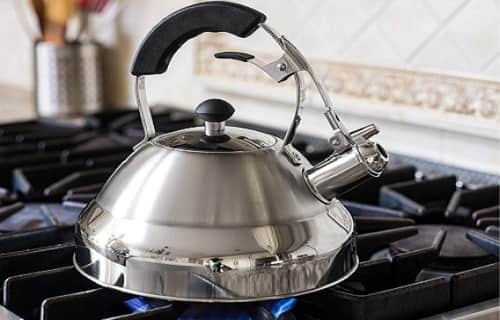 Hamilton Beach as you know is one of the top international brands that manufactures and markets cookware and bake ware products and this product is no different. The manufacturer offers two kneading paddles that could serve as a substitute when one is being cleaned. This bread maker could be used to make pizza dough, flatbreads, and cakes. 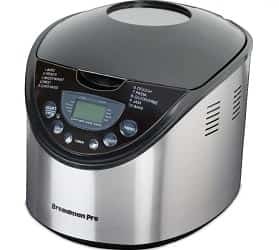 This Cuisinart bread maker is almost as same as the previous Cuisinart product mentioned above. 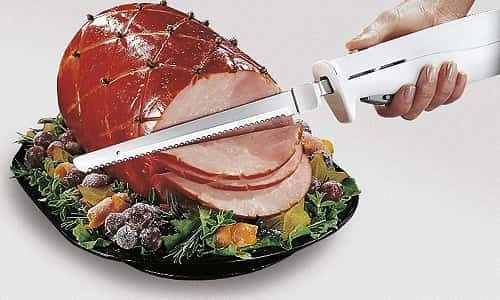 The product comes with a feature that would allow the user to select the from a set of 3 loaf sizes, 100 bread, and 3 crust colors. 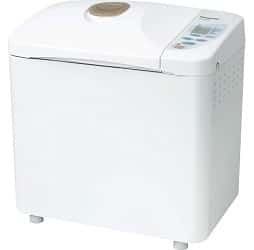 The Zojirushi BB-HAC10 is a mini bread making machine that comes with a capacity of 1-pounds. The product consumes only 45-watts power. Like few of the products mentioned above this product also comes with a transparent window on its lid that could enable the user to keep track of the baking. 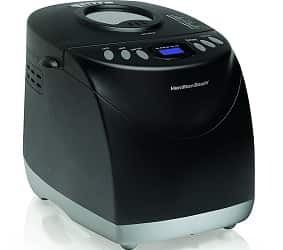 This bread maker from the brand Bread man is one of the best programmable bread making machines available on the market right now. The product comes incorporated with large easy to read LCD display that grants access to all baking details like timer settings, temperature etc. This bread maker could be used to bake bread of whole wheat and several other materials. Most of the people love bread; you could be reading this article because you love bread. Are you looking for the best bread making machine? Then there are some factors that could help you choose the best. Size of the machine – Bread making machines are generally considered by people for household use and not for commercial use. This alone demands the device to be compact and portable. It is very important that while purchasing the product check the specification and find the overall dimension of the product. You will not appreciate a bread making machine that is not easy to store. Shape of the bread – Most of the people know that bread loaf’s come in rectangular shape, but few of the customers know that there are break making machines that could allow the user bake square or round bread instead. If you are a person who would like to bake a different shape bread, then don’t hesitate, go for bread making machine that offers such an option. Removable pan or not – Yes, bread making machines do come with removable bread pans. Not the entire models of machine out there come with this feature. However, we would recommend that you consider purchasing a machine with removable bread loaf pan. One of the main reasons is because removable bread pan incorporated break making machine is easy to clean. You could simply remove the pan from the machine and then wipe clean the pan. Step 7: Once the parts are cleaned, allow the parts to dry and then place the parts back in the device. 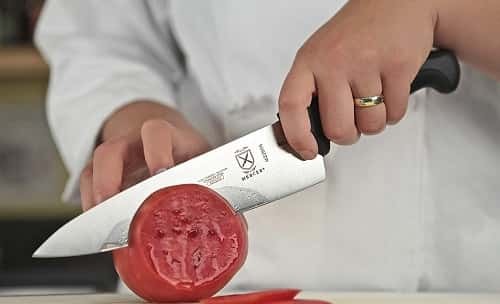 Before dissembling the product, read the manual or the instructions that come with the product. Each device comes with a different design. It is very important that you be careful while purchasing a bread-making machine. 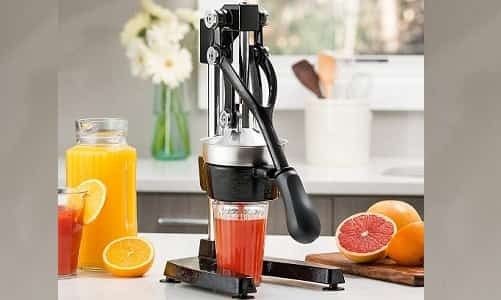 Consider purchasing any one of the products listed above as we have listed all the best bread-making machine based on the customer reviews and product descriptions.